A Most Curious Wedding Fair Blog: A massive Most Curious welcome to ED GODDEN PHOTOGRAPHY! A massive Most Curious welcome to ED GODDEN PHOTOGRAPHY! Not to boast or anything BUT, ok we will, we have another award-winning exhibitor joining us for Most Curious 2016! 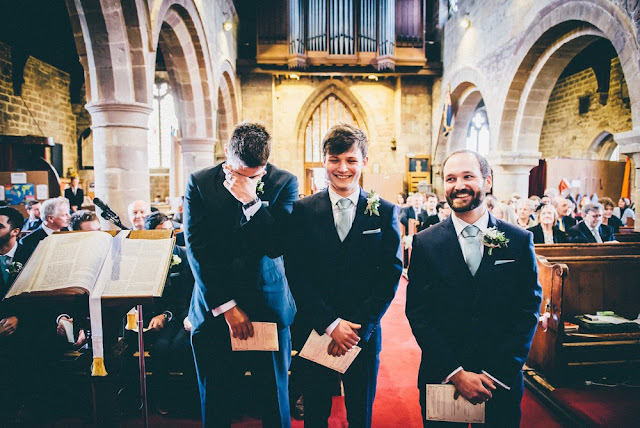 Professional Photographer of the Year 2013, Ed Godden Photography, is a photographer that shoots weddings in a relaxed, creative, fun, and stylish way. He loves it when couples approach him with something different, something they think is completely bonkers! Ed does not do boring and normal - he likes to take funky photos of people in love! Ed used to be a press/newspaper photographer so knows how to capture a couples day in a very honest, reportage style. He also shoots a lot of fashion and editorial images for magazines, and this completely comes across in his portraits. As you can see, he captures absolutely stunning images that you will cherish forever. AND he promises to take you away from your wedding party for only half an hour so you can enjoy even more celebration and champagne time - super bonus! So Ed, talk us through a typical day in your life. If it's not a day I’m photographing a wedding… I’ll start the day with a coffee, and head out for a run. Both my wife and I are keen long distance runners and are very lucky to have beautiful countryside right on our doorstep. After clearing my head with some exercise and fresh air, I’ll get to work in my home office, editing my recently shot weddings! I edit all my weddings myself, and am very proud of the fact that I don’t outsource any of my work. I like to have a great personal connection with my couples, and their weddings, from the minute they first contact me, to the minute they receive their finished images. This may mean a lot of time editing all my photos, but I wouldn’t have it any other way. 2015 has been another fully-booked roller coaster ride full of weddings for me, so its been lovely to have a bit of time off at the end of the summer, just before my Autumn and Winter weddings kick off! So, we headed off to America for a 3 week road trip. Travelling over the East Coast of America was amazing and as you can probably imagine, I took a lot of photos! I’m a huge fan of landscape photography so travelling around such amazing scenery such as the White Mountains in the U.S definitely gave me plenty to look at. In short, just getting out and enjoying time off is what is inspiring me at the moment. I’m a big fan of a lot of American wedding photographers, and I love seeing how they make the most of the beautiful backdrops available to them. I know whenever I’m shooting a wedding I’m always on the lookout for a cool and funky backgrounds, stunning vistas, and just anything to give the images an extra punch! I have so many different types of bride contact me to capture their big day! But also a photographer that will fit in with everyone and feel like a friend/family member they’ve known for ages! Well, we absolutely love Ed's work, and on a personal note - he is also a true gent! 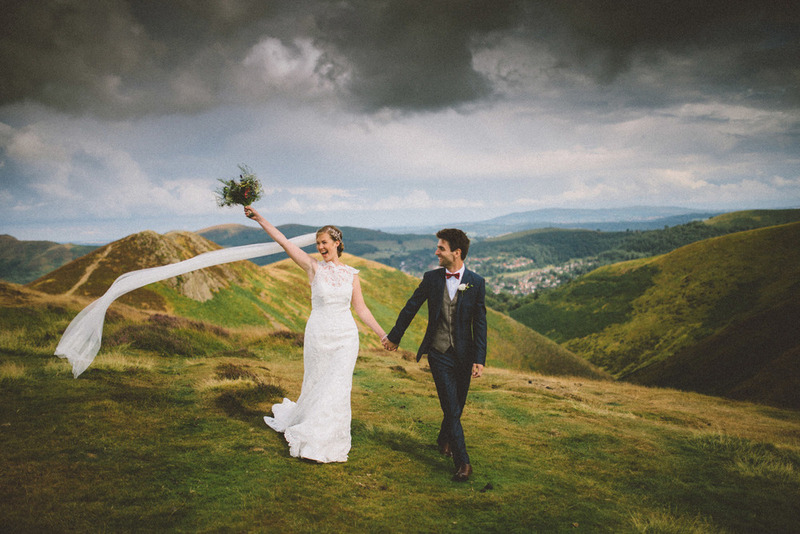 To meet Ed and chat about your wedding photography ideas, make sure you get your tickets here and come and get even more curious at our 2016 show! A beautiful photography by ED Godden. This is just your awesome work which already filled all your schedule with weddings. Love to have you for my wedding too. I love when the wedding are shoot in less formal way. Just like on those photos. I think it's more cool, than just making formal photos with boring poses and in ordinary places. Those photos like in the post can show the true feelings of people. If i needed photos for my thesis statement, I would like to this photographer to make them. Hello. Thank you for the article. A very talented photographer! Indeed, photography is a whole art. And photographing weddings, in addition, is also very difficult. Thanks again for the beautiful photo. I never used writing services before but I am glad I found these guys. I should just to pay for essay, and the work was start. The delivery was fast, the research paper had an outline I requested, and the quality was outstanding. If I have to use essay writing service again, I would definitely contact this one.